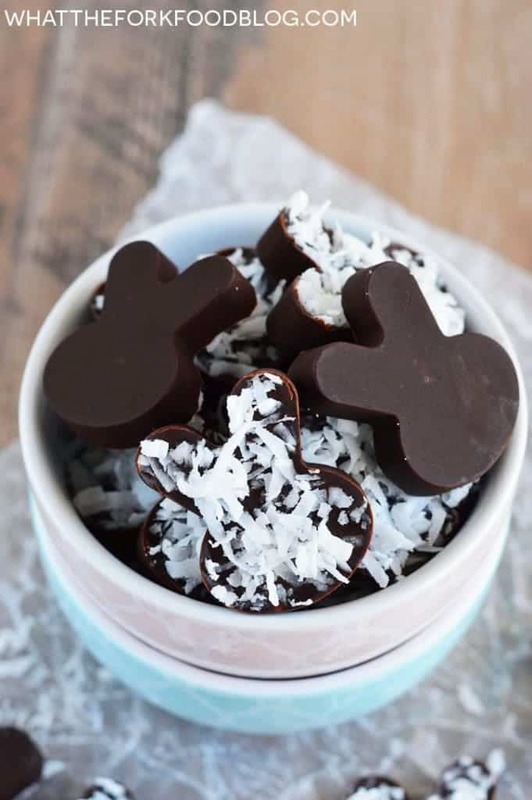 These paleo chocolate bunnies are perfect for fun Easter treats. 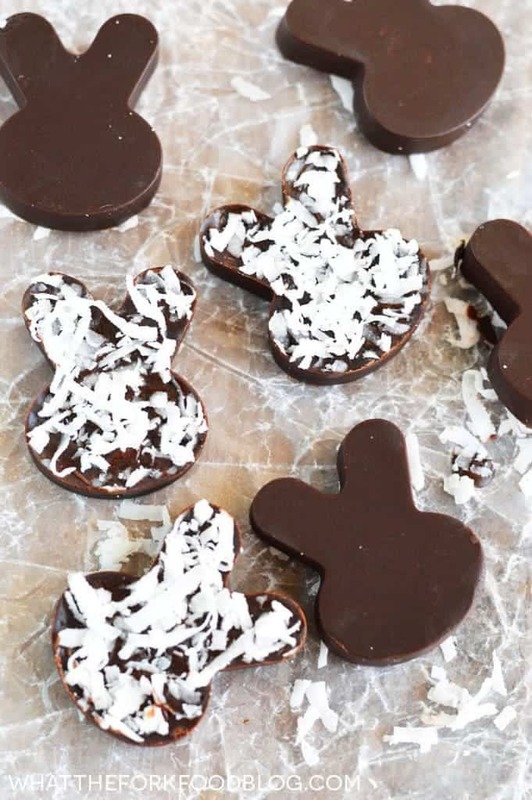 Decorate with unsweetened coconut for cute, fuzzy, white bunnies, add some chopped nuts, or leave them plain. Kelsey has been all excited for the Easter Bunny and Easter egg hunts this year. However, with her being lactose intolerant, we’re not buying any of the fun chocolate candies everyone else is getting. I know, I’m so mean. But her stomach will thank me. So, to make up for it, paleo chocolate bunnies to the rescue. These bunnies are super adorable. I picked up a silicon mold in the Easter section at Walmart but there are similar ones on Amazon. 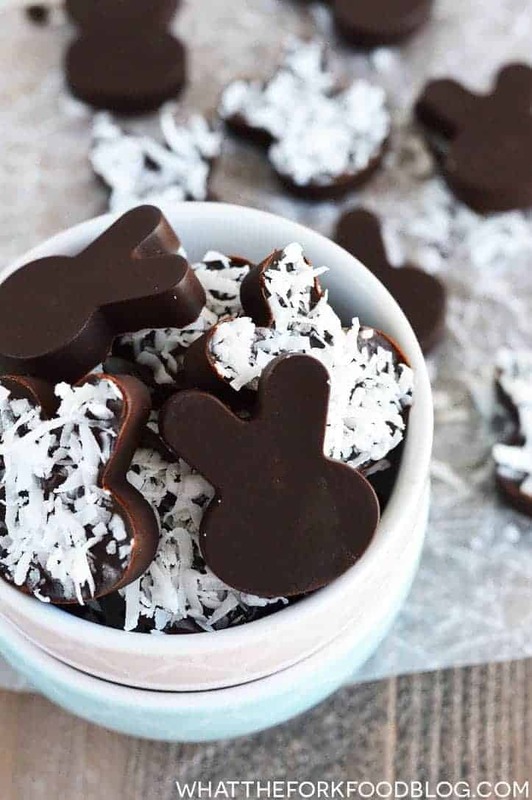 These paleo chocolate bunnies are a little on the dark/bitter chocolate side, so if you love dark chocolate, these are perfect for you. My kids actually LOVE dark chocolate so that’s not an issue for us. If you want them a bit sweeter, you can use sweetened coconut (they just won’t be paleo anymore). My husband is not usually a dark chocolate fan but he really enjoys these. Like, he ate the whole first batch before I could take pictures. But not really. Because any excuse to make chocolates is a good one. Especially when they’re as easy to make as these. I should mention though, these chocolates need to be kept refrigerated. 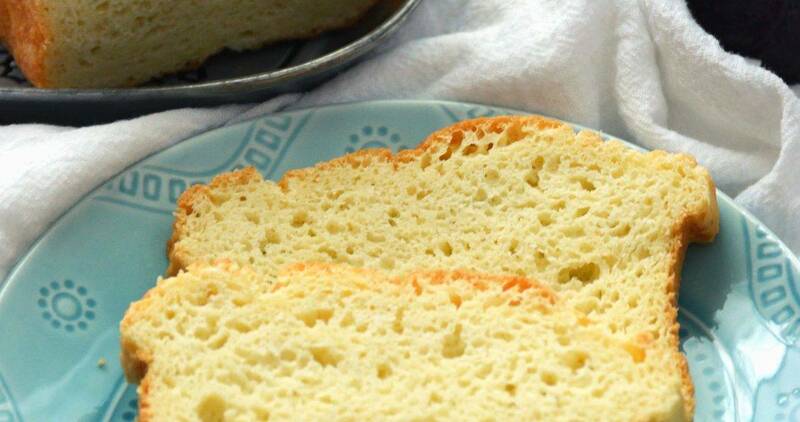 Due to the coconut oil, they will get really soft/melty at room temperature. It’s just the nature of using real ingredients vs. a bunch of additives to prevent that from happening. So if you’re planning on putting these in eggs to hide, make sure you hide them all in the fridge, ok? ???? Place your chocolate mold on a flat sheet pan and set aside. Melt the coconut oil and shortening in a microwave safe bowl in the microwave at 50% power for 45 seconds. Stir well and continue to melt at 50% power in 15 second intervals until melted. Stir in the honey, mix well, and heat for 10 seconds to help the honey incorporate. Add the vanilla, cocao/cocoa powder, and salt. Mix really well then, using a spoon, pour the chocolate into your silicon molds. I found using a spoon to transfer the chocolate easier than pouring. You can also make this in a large glass measuring cup for easier pouring. 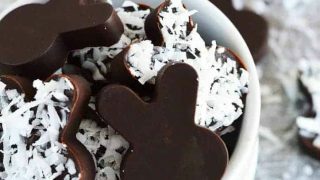 Sprinkle the chocolates with shredded coconut if using. Place the mold/pan in the freezer and freeze until solid, about 15 minutes or overnight. Carefully remove the chocolates from the mold and store in an airtight container in the fridge or freezer. Yield will vary depending on the molds you use. Chocolates must be stored in the refrigerator, they will melt at room temperature. 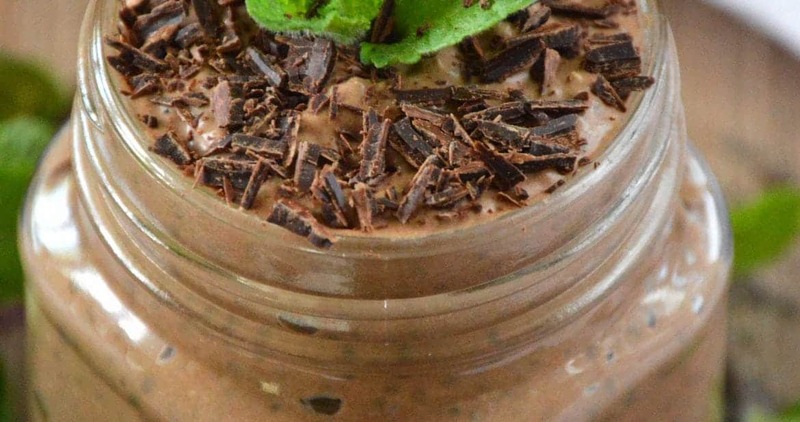 Follow Sharon | What The Fork Food Blog’s board Paleo Dessert Recipes on Pinterest. Of for gosh sakes those are soooo cute! These are so darn cute and I love that these are paleo. These are sooo cute!! My kids will flip over these cute bunnies! Thanks for sharing! These are so incredibly cute! Love them ! These little bunnies are toooooooo cute to handle! Can’t believe they are paleo! Perfect for a healthy easter – love these bunnies.. These are so cute! 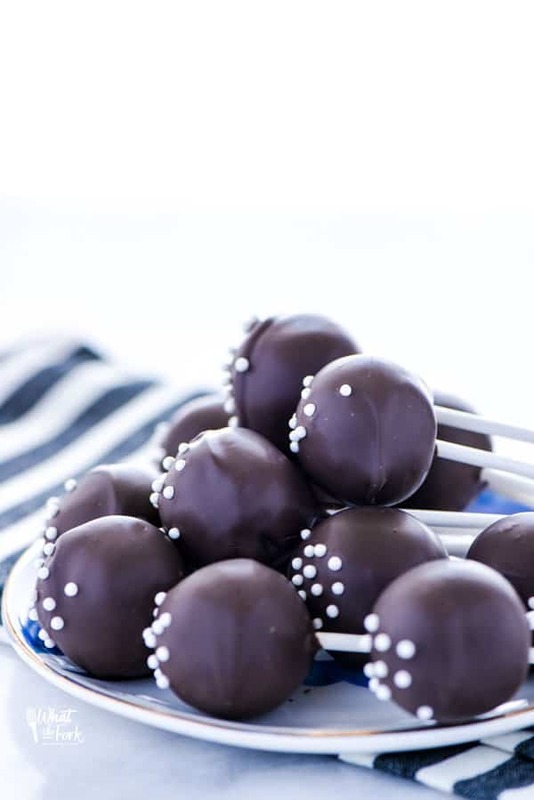 One of my friends is a total chocoholic but she’s lactose intolerant and I know she would just love these – will definitely be giving them a try over the long Easter weekend! These are super cute! Thanks for sharing. ???? These are super cute Sharon! These are so fun! Perfect for Easter! My kids would love these. I love the ingredients you used too. I can’t get over how cute these are! My kids will never know they are healthy! I would love to have 3… Yes, 3 is a great number 🙂 I shall start with the ears but of course! 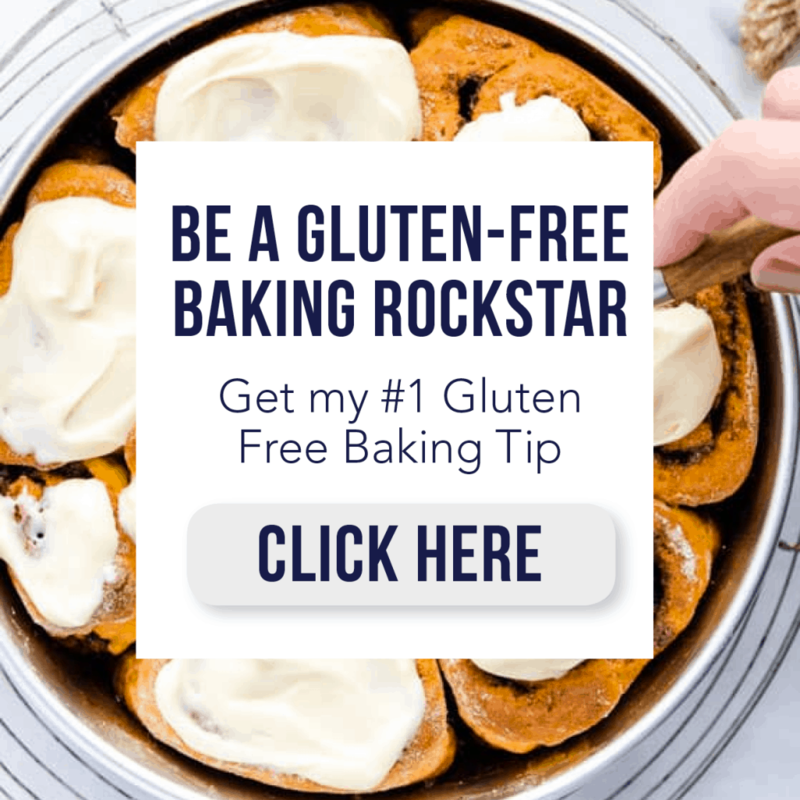 These look so decadent – I love how you made them healthy!! I make this for sister next week. too bad about the palm oil, could I use coconut oil instead? Yes you could use all coconut oil instead. could you use stevia instead of honey? Hi Ellie, I haven’t tried it so I can’t tell you for sure.